Now, for me, this was one of the highlights of my research for this site. 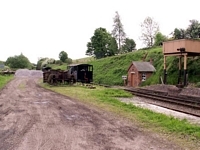 Not only is it graced by passing steam-hauled passenger services but it is in the middle of nowhere, is not an operational halt on the SVR and is virtually a period time-capsule from it's GWR days! 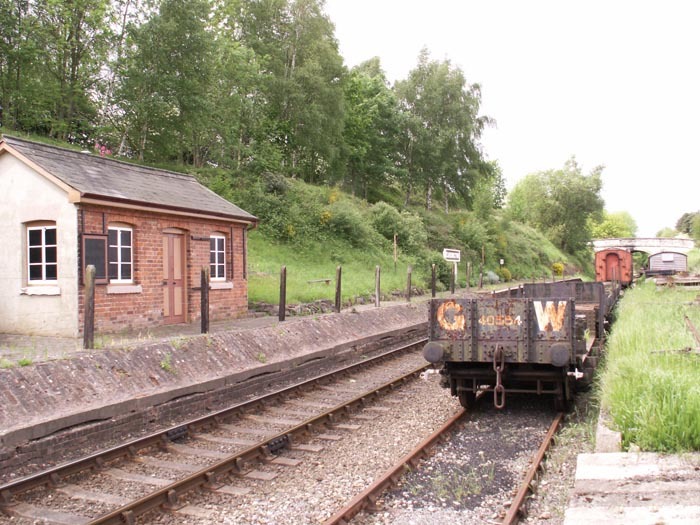 Opened on the SVR line in 1862 the halt closed along with the line only to reopen briefly between 1970 and 1981 on the modern-day SVR. 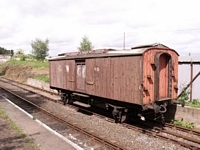 Due to its location, the SVR have failed in several attempts to utilise the halt and, to all intents and purposes, have abandoned it as a passenger concern and merely use it for rolling-stock storage. 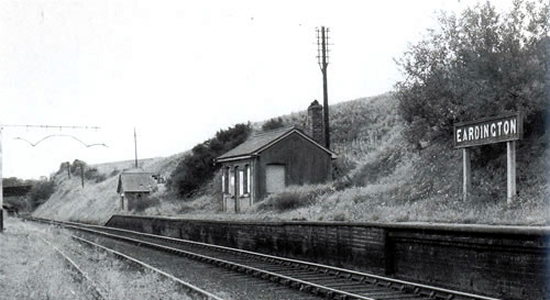 Above we see the halt in 1962 looking rather overgrown and disheveled (photo: Lens of Sutton). 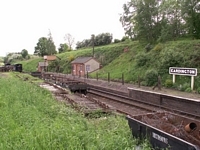 After driving for a few minutes into the countryside following a great couple of hours at Bridgnorth, in the middle of the countryside I came across the gateway leading to Eardington halt. Above-left is the view that greeted me as I stepped from the car - I almost thought I'd gone back in time! We are looking towards Kidderminster and nearest to us is the siding used for wagon storage by the SVR with the min line beyond. Above-right we have moved back from the previous shot to look South along the length of the halt and, as is apparent, the site has changed little from its BR days. Above-left we have moved forward and are standing on a barrow crossing looking at the disused waiting room in the direction of Bridgnorth. The keen-eyed amongst you may notice that the platform edge has been removed here - this was done in 1981 as it was crumbling and deemed to dangerous to leave in situ. 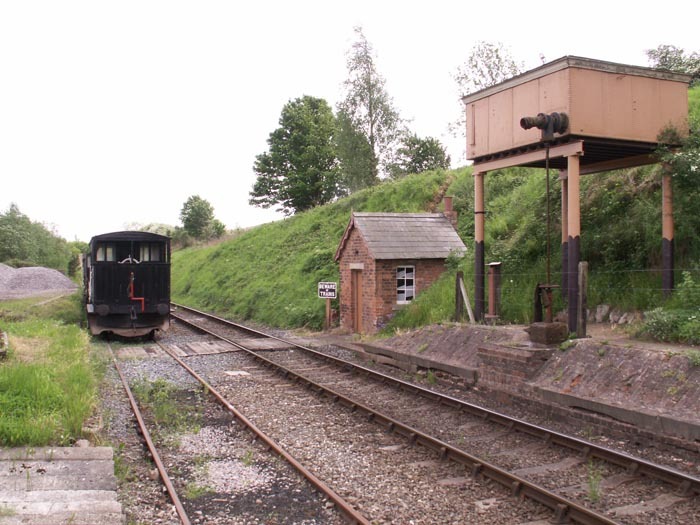 Above-right we are standing roughly with our back to the wagon seen in the previous shot and are looking South: note the water tower to our right. 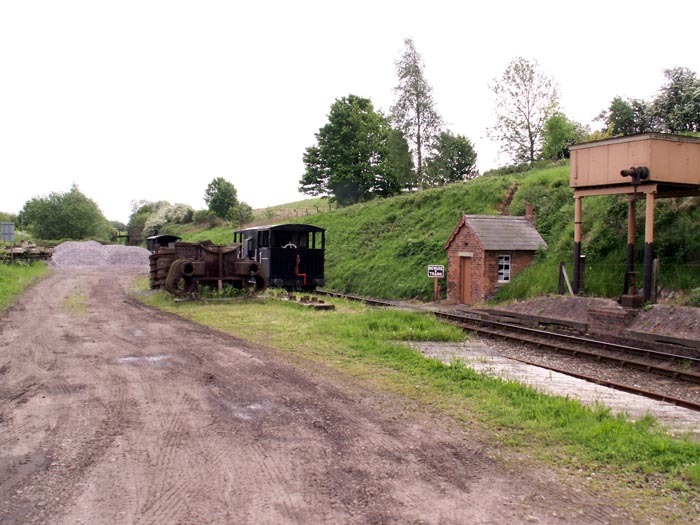 The really impressive thing, and one that surprised me, is the lack of vandalism/graffiti here - must be coming from Birmingham but the minute a railway site is left unattended it gets completely destroyed by local youth. 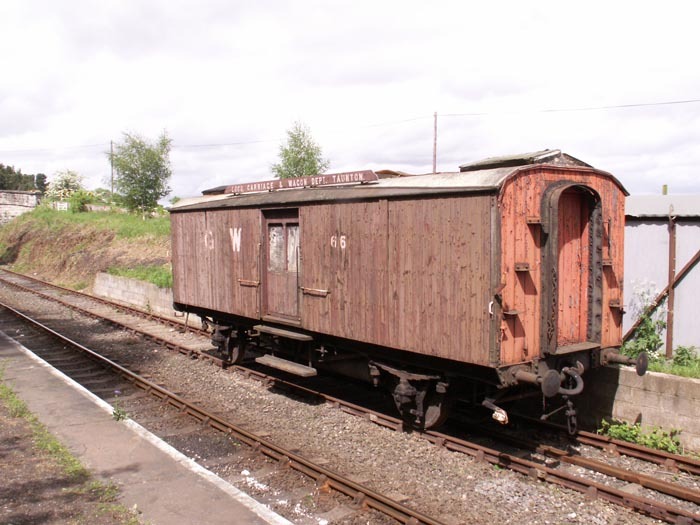 I assume the halt has faired well due to its rural and isolated location but it does make for a fascinating site to explore. 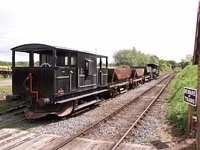 Above-left and right we are looking at the rolling stock in the sidings at the halt with the above-right shot depicting a wagon marked 'GWR - Loco, Carriage & Wagon Dept - Taunton'. 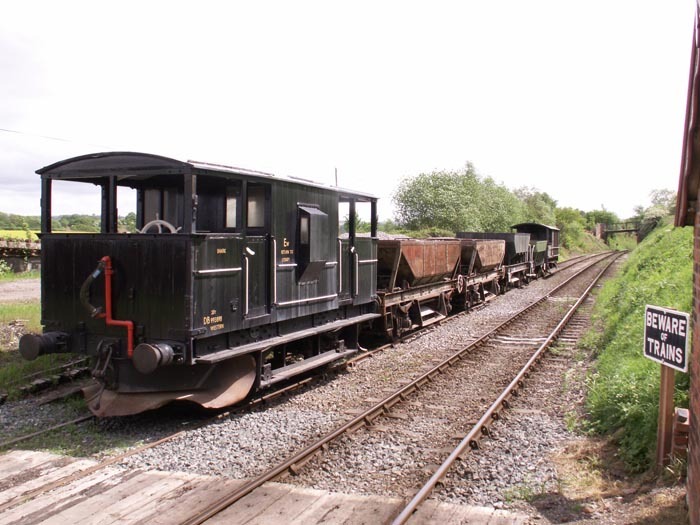 All-in-all this would be near the top of my 'must visit' list for anyone interested in railway history.